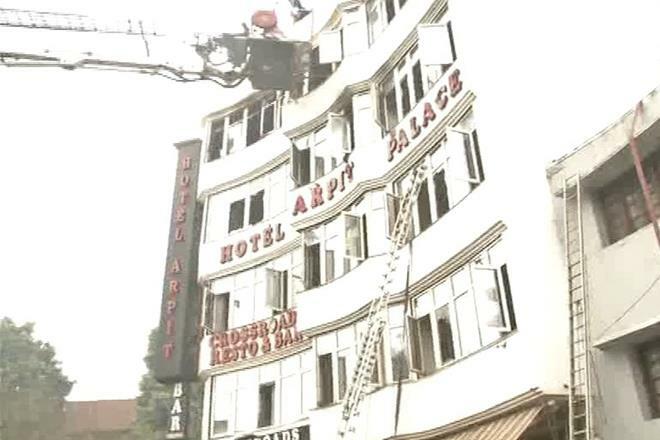 NewDelhi: At least 17 people were killed and three injured after a fire at a hotel in Delhi's congested Karol Bagh area early this morning.A woman and a child, among those dead, were killed when they tried jumping from a window, reports said. Most of the deaths took place due to suffocation, the police said. Karol Bagh, in central Delhi, is popular with tourists and lined with hotels and markets.